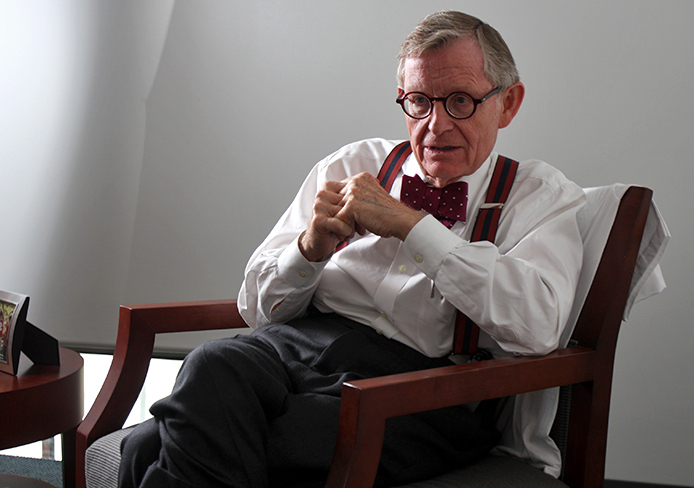 Former OSU President E. Gordon Gee during an interview with The Lantern Oct. 21. 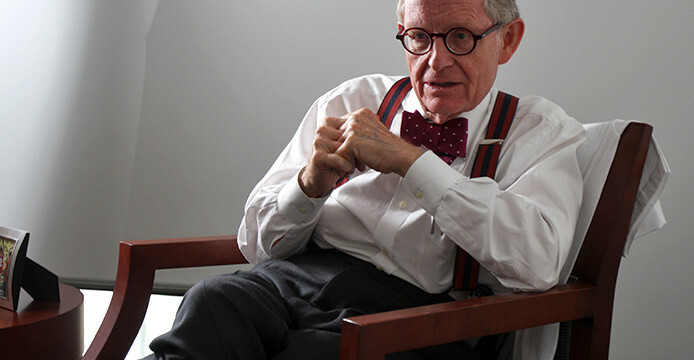 Former Ohio State president E. Gordon Gee is slated to make $775,000 in his role as president of West Virginia University, according to his contract which went into effect Monday. 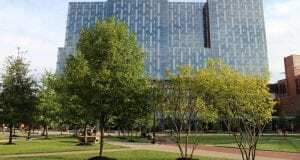 Gee’s annual base salary is set at $650,000 with an additional $125,000 coming from the WVU Foundation every year, according to the Charleston Gazette. He will also be eligible for annual raises as stipulated by his contract, which last two years. Gee is also eligible for compensation for travel, hospitality and other expenses. He can also accept a car and air travel from the university, as well as up to $25,000 for the cost of moving from Columbus to Morgantown, W.V. His contract also specifically states that he can continue work on higher education projects he started before becoming the WVU president. Gee has a lead role in a higher education affordability research project announced by Gov. John Kasich. His new salary is a pay cut from what he made at OSU when he held the top job. As president of OSU, Gee was one of the highest-paid public college presidents in the country, making an annual base salary of about $830,000 and a total compensation of slightly less than $1.9 million in the 2011-12 fiscal year. He is set to make more than if he would have remained at OSU after his resignation, however. Gee’s base salary as president emeritus and a tenured professor in the OSU Moritz College of Law — his new position at OSU post-retirement — was set to be $410,000, to be paid each year from 2013 through June 2018. Gee announced his decision to retire from OSU days after controversial comments he made at a Dec. 5, 2012 OSU Athletic Council meeting came under public scrutiny. Remarks about Notre Dame and the Southeastern Conference in particular brought national attention. He began his career of leading higher education institutions at WVU in 1981. He was the dean of WVU’s law school prior to his four-year stint as president. Gee later was president at Brown University, Vanderbilt University and the University of Colorado, and he held the office twice at OSU. Gee was OSU’s president from 1990-97 and from 2007 to July 2013, when he retired. We need to see a story on what these presidents actually do to earn this kind of money. He is grossly overpaid.